Large companies have unique needs; they have many websites and many users. In the past, it could take many hours to setup Google Analytics. With our new Google Analytics Enterprise APIs, IT teams can programmatically setup and configure Google Analytics accounts, saving time, and giving them more time to analyze data. All data collection on your site requires tagging, so being able to rely on Google Tag Manager is absolutely critical to Google Analytics customers. We’re very pleased to announce that we’ll be rolling out a Service Level Agreement for Google Tag Manager to Google Analytics Premium customers in Q4 of this year. This will give Premium customers the assurance they need on the reliability of their tag management, backed by Google’s rock-solid infrastructure, as well as implementation support to get them up and running. We’ve recently re-imagined segmentation to make it even easier for new Analytics users, yet also more powerful for seasoned analysts and marketers. Updates include user segmentation, cohort analysis, sequence segments, segment templates and a fully refreshed UI. Originally announced in July, at the Summit we announced this is now available to a majority of users, and 100% by end of 2013. Acquisition in Google Analytics contains some of the most popular reports in our product and are accessed daily by active users. That’s why we’ve been thinking about how to evolve these reports to better present your key metrics in intuitive groups while improving channel flexibility. 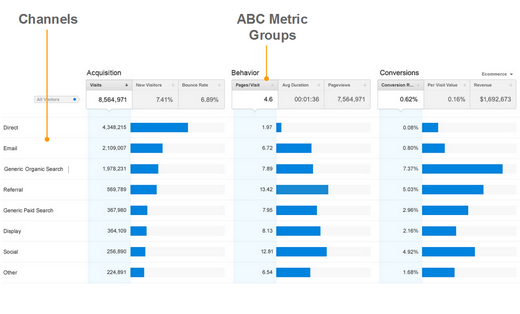 We know how important these reports are to you, and so we’re pleased to share a sneak preview of the new Acquisition reports in Google Analytics to provide a window on your users’ Acquisition-Behavior-Conversion (ABC) cycle: how you acquire users, their behavior on your site after acquisition, and their conversion patterns. They will replace the ‘Traffic’ Sources’ section on the left hand navigation. One of the biggest challenges for online marketers is the lack of information about the people visiting their properties and buying their products. Unlike in physical stores where a manager can tell a lot about the sorts of people coming and going -- What age are they? What’s their gender? What are they interested in? -- online merchandisers and marketers are often flying blind. Audience Reporting solves this problem by providing age, gender, and interest categories as dimensions in Google Analytics. Find out who your site visitors are and gain a better understanding of who your most valuable (highest converting) audiences are so you can effectively reach your best prospects on the Google Display Network. Taking into account demographics and interests, you can efficiently target, bid, and optimize your creative to improve your campaign’s performance. The BigQuery integration is a feature for Google Analytics Premium that allows clients to access their session and hit level data from Google Analytics within Google BigQuery for more granular and complex querying of unsampled data. For those unfamiliar with Google BigQuery, it’s a web service that lets you perform interactive analysis of massive data sets—up to trillions of rows. Scalable and easy to use, BigQuery lets developers and businesses tap into powerful data analytics on demand. Plus, your data is easily exportable. This feature is now available for Premium users. The world of digital analytics is changing fast, and we want to help analysts and marketers stay current. We’re excited to announce two new educational initiatives, Analytics Academy, is our new online learning platform (also known as a massive, open, online course or MOOC for short). We’ll be offering instructor led courses in analytics related topics multiple times a year. 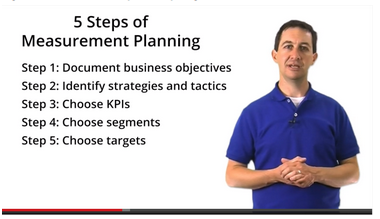 You can sign up for our first course, Digital Analytics Fundamentals, here. 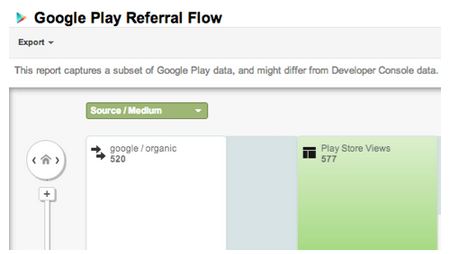 We’re also adding more help resources directly in Google Analytics. Simply access the new education window using the education button in the menu bar. We recently re-imagined in-app analytics from the ground up, speaking the language that matters to app developers and marketers. Since launch, the insights provided by Google Analytics for Mobile Apps are already helping hundreds of thousands of app developers and marketers create more successful Android and iOS apps and experiences by measuring metrics at all stages: acquisition, behavior and conversions. Today we’re excited to announce that the integration between Google Analytics and Google Play, previewed at I/O 2013, is now available to all users! This is especially exciting for app developers and marketers because it’s the first time - and only way - to get a holistic view of the Play acquisition funnel in one easy to understand report. 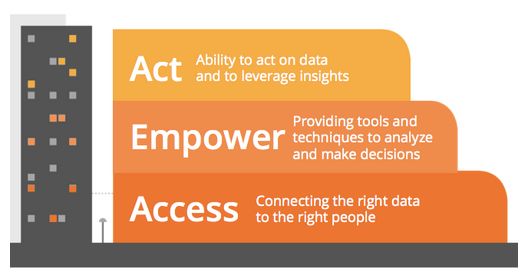 As we move into 2014 and digital analytics becomes more central to how organizations of all sizes make decisions, we look forward to making our products even better. We’ll be sharing more in-depth news about each of these features over the next few months along with more details on launch dates. 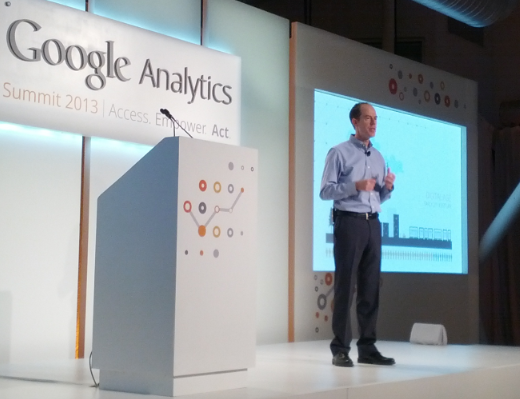 Stay tuned to the Google Analytics blog and follow us on Google+ and Twitter so you don’t miss a thing. Posted by the Google Analytics Team.